There Is A Narnia In America And You Need To See These Pictures! Ever wondered what your favourite fairy tale would look like? 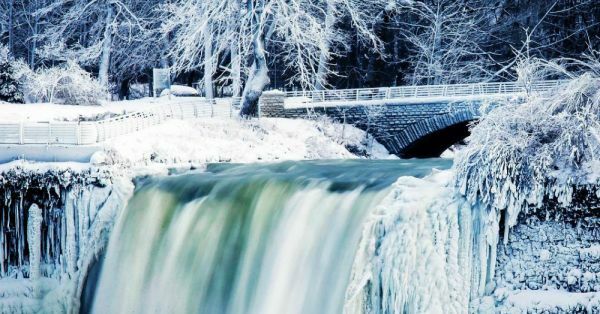 The Niagara Falls has frozen over due to the extreme winter in the US and though they aren't actually frozen, the extreme temperature has created a photo opportunity photographers clearly couldn't ignore. This winter wonderland is located between New York state and Canada, clearly not t-shirt weather as the temperature has been below zero for quite some time now. Everything is covered in snow, but the water is still flowing, creating a snowy mist in the entire area, giving the pictures a mystical touch. We did end up getting some breathtaking pictures and you just can't miss them! Anyone Up For An Icy Dip? Catching the next flight to New York! Are you?